Hello everyone and as always thanks for stopping by. 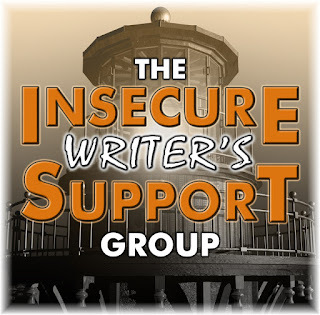 These are the co-hosts for March 2019’s Insecure Writers Support Group brought to you by Alex J. Cavanaugh and his team of co-hosts: Fundy Blue, Beverly Stowe McClure, Erika Beebe, Lisa Buie-Collard. Be sure to stop by and give them all a hug and some good old fashioned lovings. March 6 Question - Whose perspective do you like to write from best, the hero (protagonist) or the villain (antagonist)? And why? The villain is the supporting actor or actress. Actually, I have a full supporting cast of villains in my books. Yes, for books like mine I have the alpha male. There is Chase Manhattan from Laguna Beach, CA and Bob and Debbie Stevens from Kalamazoo, MI as the main characters. But supporting antagonists are vital to the success of a story. Vital means necessary for life. If you’re antagonists don’t bring life to your manuscripts, you’re flat-lining. Stephen King said in his book On Writing (and I’m paraphrasing) you have to satisfy your reader by building p your protaginist(s) then tearing them down. You owe it to the reader for a spectacular downfall for the antagonists. I've worked very hard and I believe I achieved such downfalls for my characters. Lesson Learned Don’t disappoint your readers. You owe it to them to build up then tear down your antagonists. Question Do you build up then tear down your antagonists? Excellent points. I hope I build my antagonists up so that my readers ponder over how the protagonist is doing to deal with the situation. So agree with you and Stephen King on protagonists. I'm working on doing a better job of tearing down and building up mine. Natalie, put on your mean face. The scenes are easier to write than you think. I send both through the emotional wringer. Stephen King should know! I think the highs and lows of characters make them interesting. This is actually life. People are not one dimensional or just good or bad. And write the way they talk. You know after a while what nuances they have. Write the differences in how different characters talk. A hero can't shine without a worthy antagonist. Tonja, so true. One cannot exist without the other. And best wishes for your new release Music Boxes. My spectacular downfall with the hero is usually more than enough! Good antagonists are so much fun! I agree. I give them and their following center stage in my books. Yes. I agree. From my seat as a writer, as I developed my characters they began to jostle and elbow each other for face time in my books. They literally not only took scenes (my books were originally playwrights) but took over the POV. I was surprised this happened but my protagonists, in sections, hijacked parts of my novels. Sometimes the antagonists can be more interesting than the hero. Happy IWSG Day, Stephen! 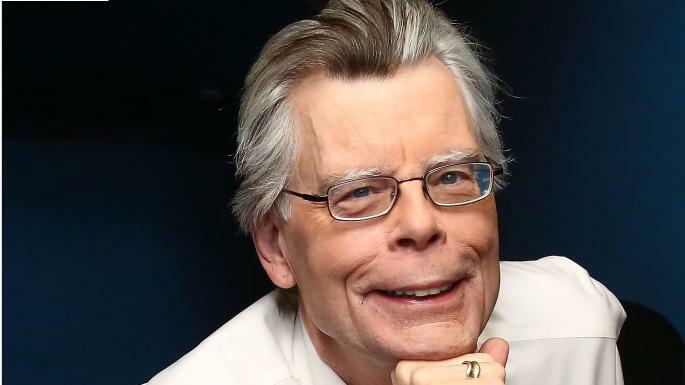 I've read Stephen King's "On Writing." He's a master at creating protagonists and antagonists, and his "On Writing" is thought-provoking. Wishing you lots of success building up and tearing down in the coming months! I like writing in both too. The antag is just as vital as the protag to make everything come together. I also like to write from both POVs. It's really disappointing to read stories with one-dimentional characters, especially the bad guy/gal. I think it's important to give the villlians their humanity - it makes for rich characterization. But at the end of my stories, I still kill them off. Absolutely right. The antagonists need just as much character development. Even if we might not like them! Sometimes I think I give my antagonists more of a character arc than my protagonists. But yes, both have to be well developed to satisfy a good story concept. I have tendency to turn my villain into an anti-hero. I have to watch for that, but I write more often from the protagonist POV. I think readers want a satisfying ending to a story. It's satisfying when the villain gets what's coming to him/her. My "villains" always have good (to them) reasons for what they do. Not pure evil. I couldn't write that.